NeuroSky's MindWave™. This Brain-Computer Interface (BCI) device turns your brainwaves into actions, unlocking new worlds of interactivity. the Mind Wave reports the wearer’s mental state in the form of NeuroSky's proprietary Attention and Meditation eSense™ algorithms, along with raw wave and information about the brainwave frequency bands. 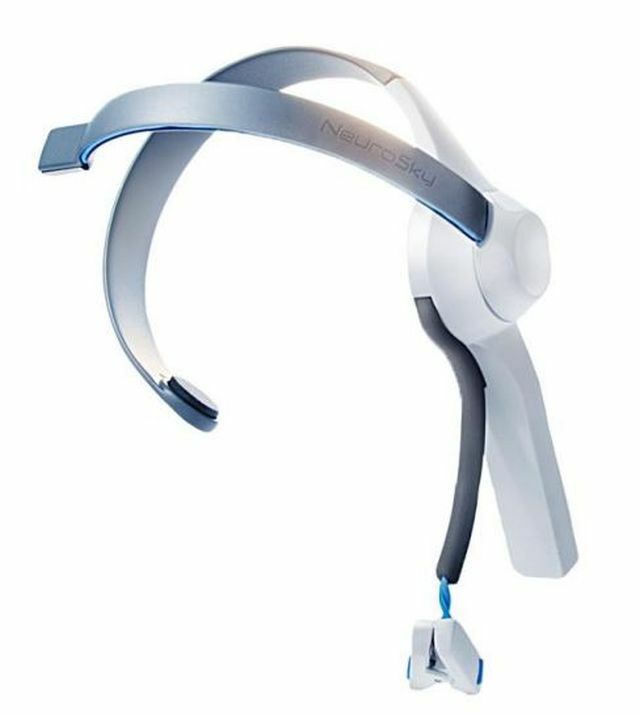 The NeuroSky Mind Wave can be used with supported video games, research software, or a number of other applications for an enhanced user experience. Mind Wave Mobile is the world’s least expensive research-grade EEG headset available. Designed for interface with mobile devices (iOS and Android) and desktop (Win and Mac), it can be used with a wide variety of games, brain training and education applications. Its clear brainwave signal is based on the TGAM, the bio-sensor chipset that revolutionized an industry. It is an excellent introduction into the world of brain-computer interface (BCI). The Mind Wave Mobile safely measures and outputs the EEG power spectrums (alpha waves, beta waves, etc), NeuroSky eSense meters (attention and meditation) and eye blinks. 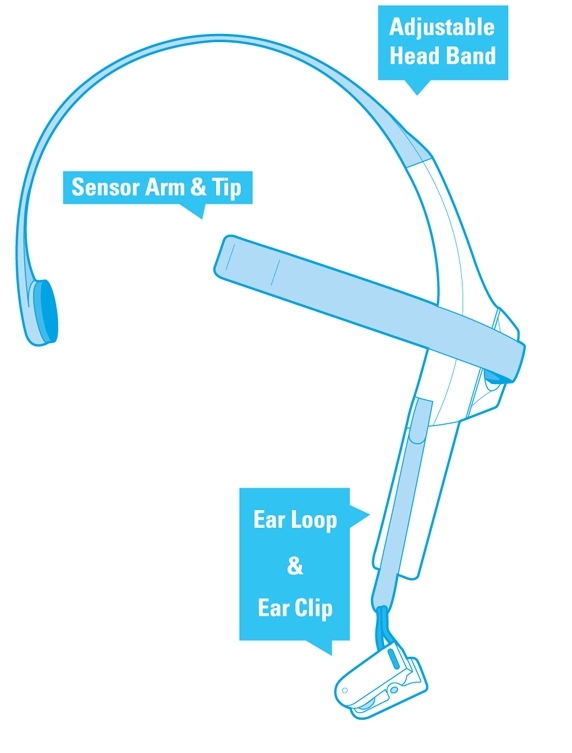 The device consists of a headset, an ear-clip, and a sensor arm. The headset’s reference and ground electrodes are on the ear clip and the EEG electrode is on the sensor arm, resting on the forehead above the eye (FP1 position). It uses a single AAA battery with 8 hours of battery life. •	Bluetooth v2.1 Class 2 (10 meters range).